Alexander Lukashenko sent a message to countries he called "our ill-wishers, if they are still around," against increasing military activities near the country's borders. 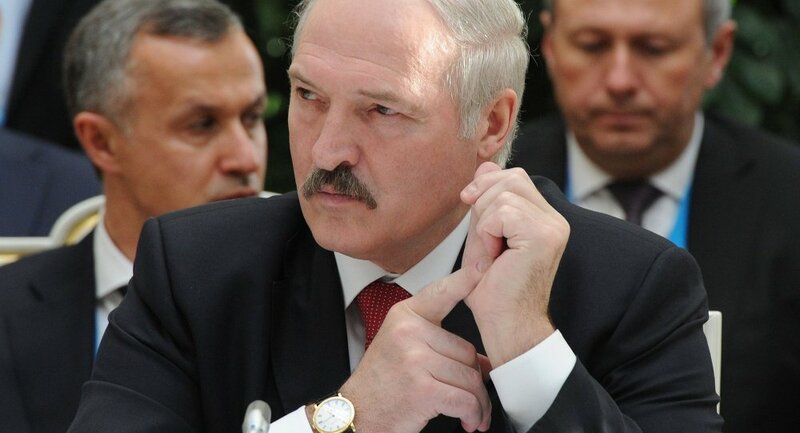 Belarusian President Alexander Lukashenko warned "clattering arms" at its borders, calling it a "waste of time." Lukashenko previously warned against increasing NATO activity at the country's borders, saying that the country is prepared to deal with external threats. Lukashenko made Wednesday's speech at an event commemorating Belarus' Independence Day, marked on July 3, when the Soviet Red Army liberated the then-Belarusian SSR from Nazi Germany. "For the first time since the Great Patriotic War [World War II], battles are taking place not only somewhere far away, but right at our borders," Lukashenko said. Around 600 US Army troops have been stationed in Belarus' neighbor Ukraine since April, with more US troops present in Belarus' neighbor Lithuania. "We must be prepared to repel any external aggression, gunpowder must always be kept dry," Lukashenko added. Lukashenko also said that the Eurasian Economic Union's large-scale project is the ability to overcome crises and find new paths for development. The Eurasian Economic Union is an economic union which is comprised of Russia, Belarus, Kazakhstan, Armenia and Kyrgyzstan.